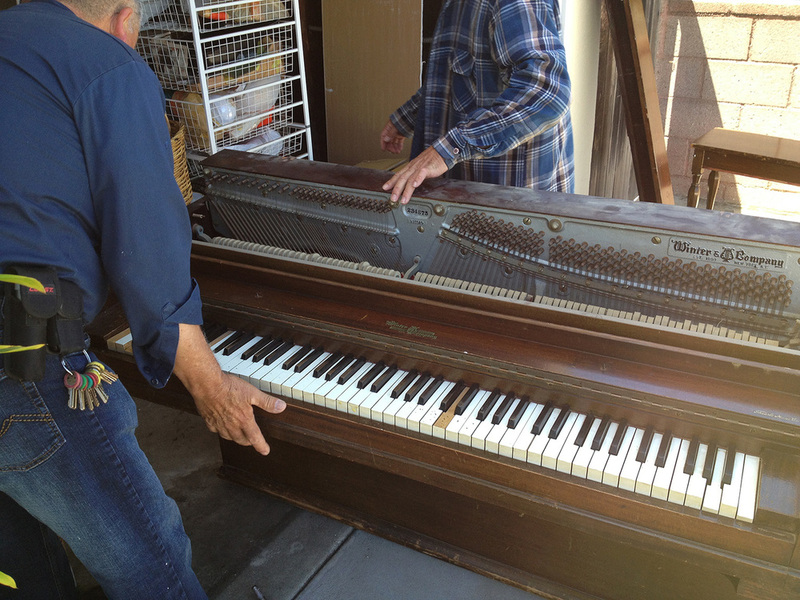 The Second Chance Pianos objective: Save pianos from a landfill grave, two at a time. Perpetuate their musical spirit. Respect the history, workmanship, and materials that go into each instrument. Wesla's latest project was inspired by a July, 2012 New York Times story by Daniel J. Wakin about pianos that meet an unceremonious end at the garbage dump. While many of these doomed pianos are beyond repair, some of them are still viable, given a bit of (often costly) TLC and a welcoming home. Wesla has obtained a spinet that is beyond repair. She has disassembled the instrument and has begun to make lovely things from its parts (no ivory). 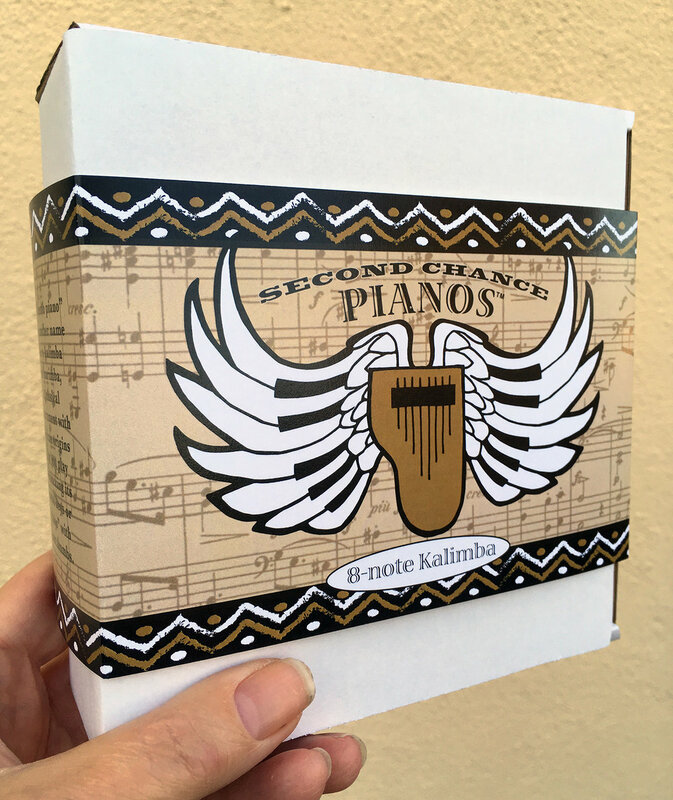 First up: Kalimbas, aka thumb pianos made from pianos! Some of the proceeds from selling the pieces she creates from the "parts" piano will go to restore, tune, and move a "fixer-upper" piano to a new home at a retirement home or community center. Move-in day for the first piano.